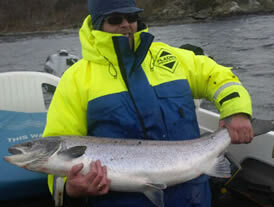 We can organize your stay to incorporate fishing for salmon, trout or pike. BOOK NOW and qualify for preferential rate accommodation at a local hotel in Killin. Contact us and let us make your trip one to remember. Bookings are now being taken for salmon, trout and pike fishing from the 16th January 2019 onwards. 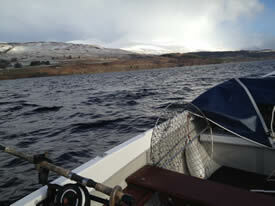 The cost is £120 for 2 people, the ghillie, boat and all fishing equipment including salmon rights. I have fishing boats available for hire. It is £60 for a full day and £40 for half a day hire. 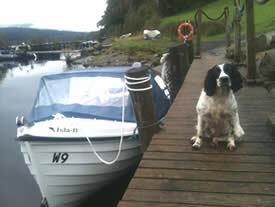 I can also arrange an hour or two hours boat trip to view the local scenery and wildlife. Status updates and photos from the Facebook Page will be made visible here. You can see how the season is going and what is being caught. © Grant Tigwell 2006 - 2019.